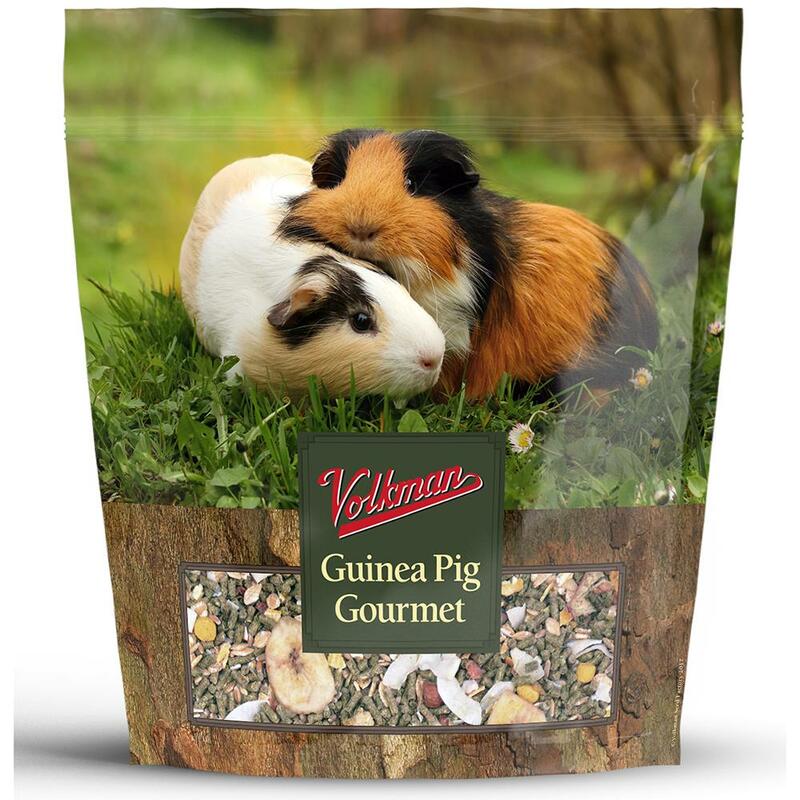 The gourmet Guinea Pig food for that special pig in your life! 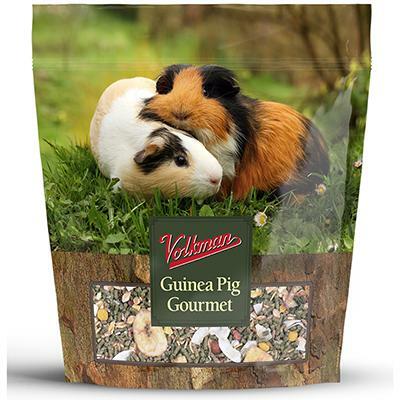 From the fine people at Volkman Seed Company, manufacturing quality feeds and seed mixes since 1863. Ingredients: Guinea Pig Pellets (Suncured Alfalfa Meal, Wheat Middlings, Ground Corn, Soybean Meal, Rice, Bran, Soybean (not more than 5%), Maize Distillers Dried Grains with Solubles, Corn Gluten Meal, Dicalcium Phosphate, Monocalcium Phosphate, Calcium Carbonate, Ground Wheat, Salt, Ascorbic Acid (source of Vitamin C), Vitamin E Supplement, Ferrous Sulfate, Manganous Oxide, Vitamin D3 Supplement, Niacin Supplement, Vitamin A Supplement, Thiamine Mononitrate, Biotin, Riboflavin Supplement, Folic Acid, Mineral Oil, Ethylenediamine Dihydriodide, Copper Sulfate, Zinc Oxide, Sodium Selenite, Vitamin B12 Supplement), Barley, Corn, Banana, Wheat, Carrot, Peanuts, Apple, Papaya, Coconut, Soybean Oil, Anise.